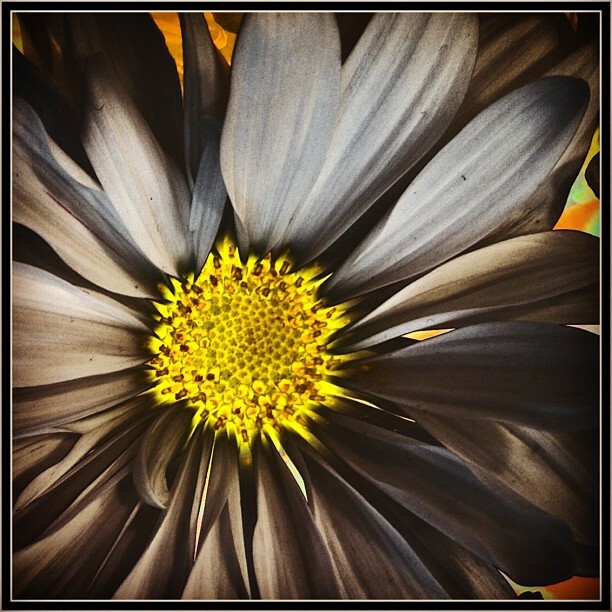 This Daisy photo processed in the PhotoStudio and Instagram apps brings out an eerie, yet unique, vision of the marvelous blossom. By playing with the many processing possibilities the photographer is offered an infinite variety of output options. Isn't that just like life? Life is full of an infinite variety of people, situations, perceptions and visions. Heck, if we were all the same, life would indeed be very boring!